supraTrack, providing a service fit for purpose. We offer various levels of services to suit individual budget and needs. Starting from the basic As Required Service through Pay As You Track Service to the fully fledged Enterprise Level Service, our services can be split into two main categories that's Subscription and non-Subscription based. This service constitutes the "As Required Service" and it's aimed at our clients who do not wish track or know where their vehicles are but want a tracking device fitted in their vehicle to assist in tracking & locating the vehicle in the unfortunate event of theft or taken illegally. This is popular amongst most personal/private vehicle owners, who don't really want to track the day to day movement or know the speeds their vehicle is travelling because they are sole users of the vehicle but want a tracking device fitted and a one-off service such as disable, locate & recover when there is a loss. For these clients we recommend our Anti-GSM Jamming Device. This service requires a one off configuration & admin fee + the cost of the tracking device. The supraTrack Pay As You Track Service is aimed at companies that want to track mobile and semi fixed assets that are not self-powered or equipped with the normal 12 or 24 volts battery that is needed to power a tracking device. Examples in this category are articulator trailers, fuel tanker bulks, containers, compressors, plants (generators), underside of vehicles for covert purposes etc. Trailer tracking is quite similar to vehicle tracking in terms of principle and technology but they present their own unique challenges. Trailers are not self-powered and do not have batteries to power up tracking devices. Unlike vehicle tracking where focus is placed on fuel usage and timesheet, trailers are about load visibility. Vehicle tracking devices are often installed inside the vehicle and protected from the elements whereas trailer trackers are often installed outside and exposed to the environment. Trailers are often coupled and uncoupled to different tractor (head) units for a varied number of reasons, eg it might be necessary to deploy more tanker bulks than flatbed trailers or vice versa to meet the business needs or a trailer could be out for repairs or maintenance or could be a loading/unloading job that is taking longer than expected. As this practice goes on it becomes more complex to keep tracks. At present most operators/businesses spend a considerable amount of time in making series of phone calls to locate their trailers but implementing supraTrack Trailer Tracking, the result is instant thereby increasing efficiency. Trailer tracking is quite similar to vehicle tracking in terms of principle and technology but they present their own unique challenges. Trailers are not self-powered and do not have batteries to power up tracking devices. Unlike vehicle tracking where focus is placed on fuel usage and timesheet trailers are about load visibility. Vehicle tracking devices are often installed inside the vehicle and protected from the elements whereas trailer trackers are often installed outside and exposed to the environment. This Service is for those clients who want to know the exact location and activities of their vehicle or assets both present and past. We have from 2 seconds "real time" tracking update delivering basic information such as GPS based speed, location, heading, status etc to very detailed information such as the actual speed, the actual mileage on the clock and fuel level. In addition, details such as coolant (water) level, coolant temperature, engine temperature, engine oil level and complex details such as engine load, RPM, oxygen to fuel ratio, engine diagnostics etc. are all sent to you from a time interval from 2 seconds to your choice of update frequency of time or distance travelled interval. Although we strongly recommend that we provide the SIM card and manage the data plan (transmission) costs on your behalf, to enable you concentrate on running your business, you can provide us with your own SIM card and manage your own top up credit, the choice is yours. Whichever you choose you have an unlimited data transfer to our Server at no extra cost. Your data is securely stored on our servers indefinitely so long as you are with us. You can have an unlimited number of users on your account each with their own individual user account or login details and with varied access control levels eg. You can restrict some users to certain information, this, you can set this up yourself or we can setup on your instructions, all at no extra cost to you. Fleet Management constitutes the running of vehicles that are owned by a company, private or Government body that are provided to its employees for personal or business use. Managing a fleet of vehicles can be quite a daunting task irrespective of the size, keeping track of where all your vehicles are, who is driving which vehicle, their fuel levels, periodic servicing and maintenance, mechanical status, their certification etc can be challenging. Not too long ago commercial fleet operators used to communicate and locate their vehicles and drivers by passing messages to and fro through other drivers and base and vice-versa, some sent out search parties and so on. As technology advanced two radio systems were installed at various bases throughout the country where drivers could communicate with fleet managers and operators. As the evolution continued, fleet operators issued their drivers with mobile phones to aid in communication. These operators had to rely on the honesty of their drivers to confirm their location, engine load and the general condition of the vehicle they are driving. SupraTrack in association with these legacy systems introduces a GPS based Fleet Management System that aims to simplify and automate the approach fleet managers or operators manage vehicles and assets in their fleet. 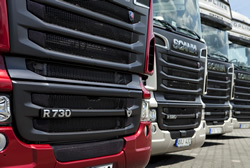 Real time tracking is an essential fleet management tool that helps the fleet manager or operator to feel a sense of safe security knowing the exact location of their vehicles at all times. This also helps to monitor each movement, specific locations, use of fuel engine and general condition of the vehicle thereby enhancing productivity. The fleet maintenance system keeps track of when certain vehicles have been serviced, requires servicing at a future date or indeed overdue. This web application helps to monitor and document all the vehicle maintenance information, such as mileage, engine hours, road worthy certificates, insurance, tax validity and so on. This, it does for all the vehicles irrespective of the number in the fleet. This asset will greatly assist and notify you when certain maintenance upkeep is ready to be performed, to ensure it from becoming past and overdue. The supraTrack fleet management system includes an alert tool that notifies the fleet manager of any possible delays or issues that may have occurred. Individuals need real-time information to keep the system of vehicles running and moving properly. SupraTrack offers an Advanced Service where data stored in the on-board computer of the vehicle can be downloaded and transmitted along with your GPS data and sent to your desktop for analysis. You may probably be asking yourself this question, do I really need this? If you are thinking this way, well just hold your breath and read on as the answer will soon become clearer. The Society of Automotive Engineers [(SAE) these are the professionals that draw up standards in the automobile industry] stated that all cars and light trucks built for sale in the United States after 1996 and those in the European Union from 2001 for petrol and 2003 for diesel are required to be OBD-II (On Board Diagnostics) compliant. This is a very condensed and well simplified form. have jointly developed the SAE J1939 which has replaced these 2 protocols. DongFeng SinoTruck Daimler Trucks Navistar etc. and of course the European and majority of the Asias. Chances are, your truck or heavy equipment will be in this group and will be using the J1939. Engine Load is a measurement of how hard an engine is working and is measured in percentage (%). In the simplest form, coasting downhill (free) is considered very low engine load whereas pulling a weighted trailer uphill is considered high engine load. From this value you can deduce when the vehicle is overloaded. Idle Engine Time is when the vehicles ignition is on and the engine is running but the vehicles speed is at 0mph. The Engine Coolant Temperature derived from the engine coolant temperature sensor or a cylinder head temperature sensor tells you the current temperature of the engine. 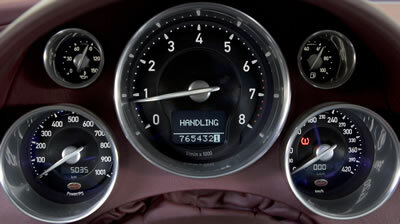 Most vehicles have this displayed on the dash board. Engine oil level can be measured manually by using the dipstick. If it's too low the oil pressure warning light will come on but if it's too high? When an engine is over filled with oil, the weights on the crank shaft come in contact with the oil and acts like an egg beater, as the engine runs, the oil will start to turn to foam. When this happens the lubrication ability of the oil is diminished and will cause the moving parts to come in contact with each other resulting in smoking and blowing the seals such as head gaskets etc. This is the rate at which fuel is consumed by the engine measured in gallons per hour or litre per hour. most inputs from the driver to the car should be smooth and aggressive braking is something that separates good drivers from the average ones. Harsh breaking or excessive braking as some will like to term is measured as Braking G-force, this is when a driver applies more force than the normal on the brakes of the vehicle (at once brake). This usually indicates signs of an accident, accident avoidance or just bad driving. Think of tyre wear, brake pads, brake discs etc. this is the pressure exerted on the vehicles brakes. The Air Intake Temperature uses a sensor located in the air cleaner duct and helps the vehicles on-board computer regulate the exhaust gas recirculation. It checks the temperature of the air circulating through the exhaust system and adjusts the air to fuel mixture for optimal performance to obtain a smooth run of the engine. If the intake air temperature sensor is malfunctioning, the vehicles on board computer may think the air is warmer or colder than it actually is, causing it to miscalculate the air to fuel mixture. The result may be too little or too much fuel mixture, this causes the engine to idle poorly when cold and surges forward when warm, a jerking effect. You might probably be thinking can I have access to all this data and if possible sent over to me at the comfy of my desktop? SupraTrack will provide you with all the above mentioned data and more, in addition to your regular vehicles GPS data irrespective of where the vehicle is or where you are. 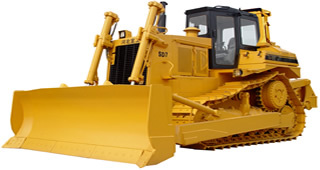 Heavy equipment owners/operators in developing and emerging economies are challenged with a peculiar business and operational risk. Operators in these economies lack the necessary information and technical knowhow required to operate these machines at optimal levels. This leads to frequent and unexpected breakdowns. These avoidable breakdowns results in significant operational costs due to the high cost of parts and specialized labour required to resolve these breakdowns. The breakdowns disrupts business and thus erodes business margins. Considering the severity of these risks, it is important for owner/operators to identify and implement relevant processes to mitigate or address the risk. Risk management is an important aspect of good business that is often ignored. The initial cost required to take a proactive look at business is minimal compared to the cost incurred when these processes are ignored. 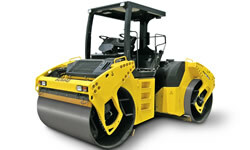 The heavy equipment machinery is built to last for a lifetime and their engines should not incur such frequent break downs. It's usually a catalogue of events that build up and leads to these frequent failures. A proactive look at the business and operational model will help owners/operators identify and rectify smaller problems timely before they escalate. In fact, most of the routine problems might also be minimized or eradicated if owners get access to relevant operational information. 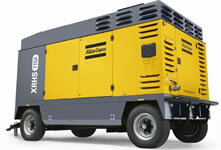 These heavy equipments are typically stationed at remote mining and construction sites. 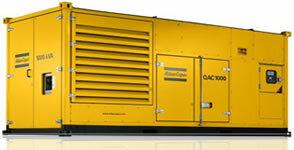 Therefore, it can be difficult to get access to the necessary information required for optimal operation. The current process requires owners/operators to rely on information provided by onsite personnel. These updates are typically inaccurate and are not delivered timely. This results in inefficient operations, frequent breakdowns as small issues go undetected, unreported or even ignored sometimes. The GPS Tracking System is an effective risk management tool that can give owners/operators the necessary information required for optimal operations. The Tracker has the capability of locating, tracking the movement, and transmitting engine activity of the equipment. We at SupraTrack offers an enhanced solution that incorporates all the functionality of the basic GPS tracking device (location, speed, opened/closed doors, engine on/off, immobilising etc ......) and the engine management of the equipment. Our Engine Management System taps into the equipment's on-board computer reading all the engine analysis and status as provided by the manufacturer and transmit them to our Device Communication Servers which are then presented to you for further analysis. Data such as the Engine Temperature, coolant level, fuel level, fuel pressure, hydraulic oil level & temperature, the engine's RPM [the number of revolutions the crank shaft makes, measured per minute (this is what tells you whether the engine is actually working or not, probably helps in disputing billing issues)]. In the event when your equipment starts generating faults, these are recorded or logged by the equipment's on-board computer in the form of codes, these codes can be read by our devices and transmitted to you for further actions. That is recording and transmitting the data as it happens at an interval of your choice. It is important to note that our device does not write to your equipment's system and thereby does not interfere with the equipments normal operations. We connect our device to a designated OBD port where the manufacturer of your equipment has made available for the collection of this sort of data by law. This in its simplest form can be likened to you having your own diagnostic machine permanently attached to your equipment and collecting data. Due to the remote environments where these types of equipment operate, there is usually very limited GSM (mobile/cell phone) network coverage, our devices can store up to 90 days of activity or data and transmitted as soon as GSM reception is available. If you have any queries just contact us and we will be as helpful as always. You can be assured that your data, from transmission to storage is secured & no one else has access except your nominated account holders. Our services can be accessed anywhere anytime on any internet enabled device.